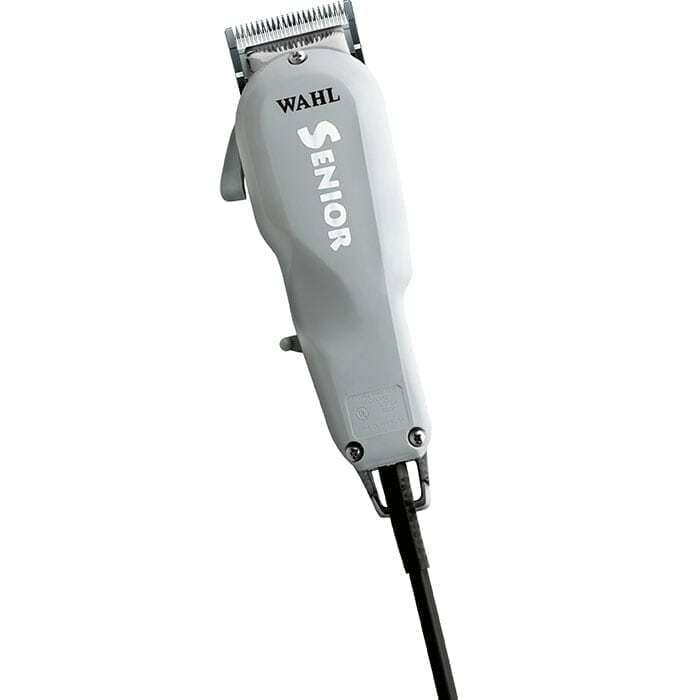 The Wahl Senior Professional Clipper offers the new Wahl Shunt Motor for more power and cooler operation. Clips even the thickest hair without getting bogged down. The ergonomic lightweight design allows for hours of use without causing hand fatigue. A Thumb lever adjusts the taper and texture without having to change blades and an adjustment screw “tunes” the clipper to variations in power source. Features a long-lasting, high carbon, steel blade. Includes: Wahl Clipper Oil, 1/8″ attachment, styling comb, cleaning brush, blade guard and pperating instructions in English and Spanish.